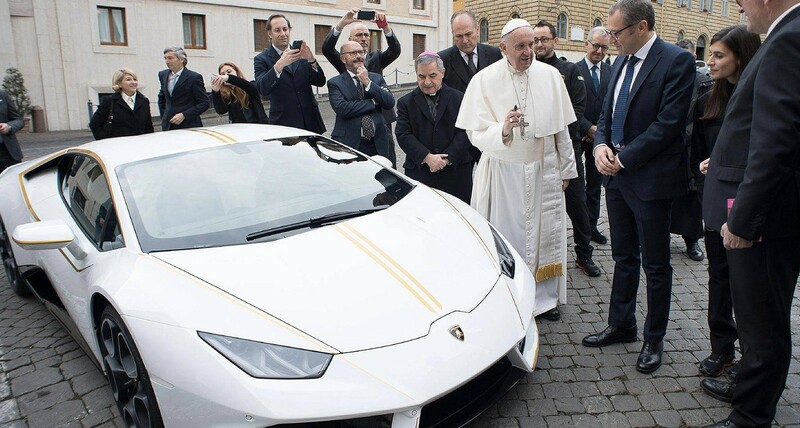 “Last November, Lamborghini gave Pope Francis a Huracán RWD customized in the white and gold colors of Vatican City. 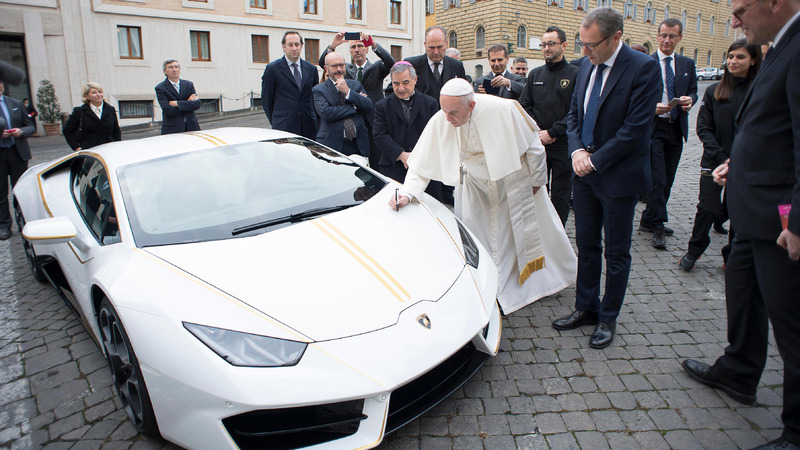 Unsurprisingly, Pope Francis announced it would be auctioned for charity, and that auction occurred this past week. 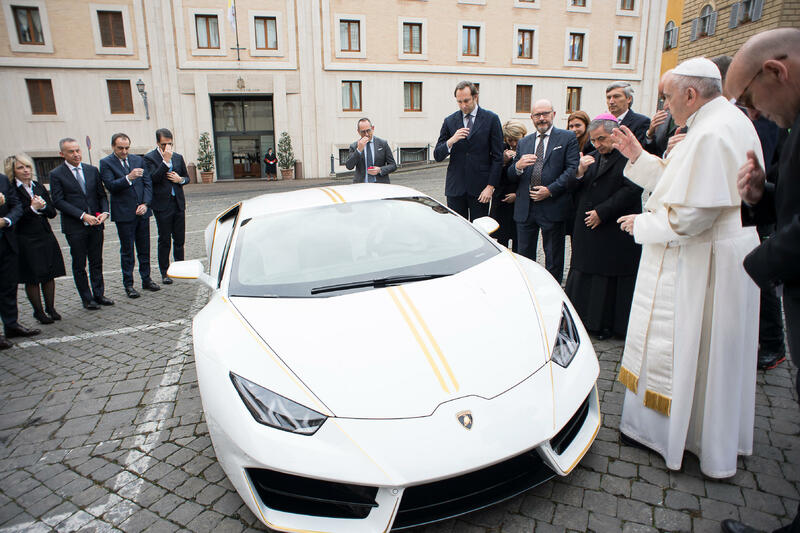 That's a fairly impressive price considering that an entry-level Huracán starts at right around $200,000. Of course, regular versions don't come with such a prestigious previous owner. An owner who signed and blessed it. Plus all the money is going to charity. Actually, make that charities. 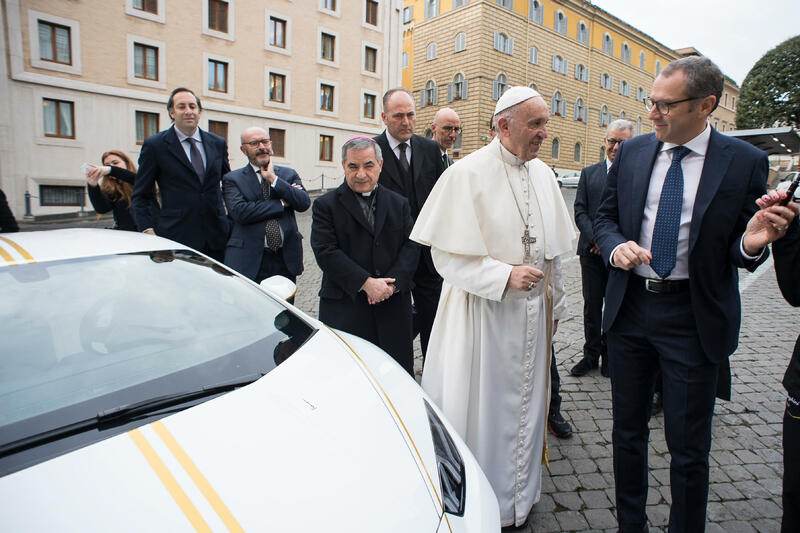 The money will be split among a group rebuilding villages in Nineveh Plain in Iraq, an organization that helps abused and trafficked women, and two organizations that help women and children in central Africa. What Should I Save in the Event of a Fire?